Burns evenly, good draw, good construction. Pairs well with whiskeys. Well worth the money. Nice medium flavor corona. Has a good draw and I like the size. Good smoke! Inconsistent!!! 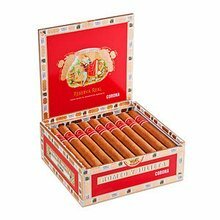 A good 20% of the cigars are wrapped too tightly and draw very poorly. Another 5% are wrapped too loosely and burn too hot and fast. The flavor of the other 75% is excellent. One of my favorite mid day smokes. Nice and compact with a big profile. Lots of rich bold smoke and smooth texture. 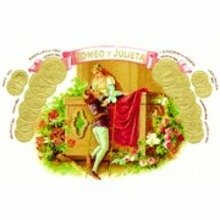 Romeo y Julieta is a choice cigar for any lover of spice and body. The corona lasted me just under an hour and it was enjoyable. Medium bodied cigar with flavor notes of cedar earth, earth, nuts. 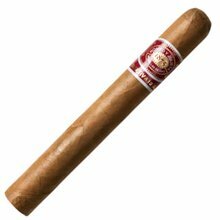 This is the classic R y J cigar. 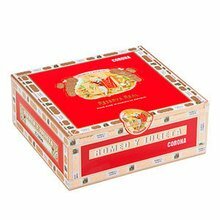 I have found that a few cigars from box were not smokeable which was disappointing. When you do have a perfect cigar well worth it. Burns even and draw is perfect. This wasn't a bad smoke at all. A bit pedestrian but it had its moments. Pretty decent construction as well. This is a great cigar. Warm nutty, nice long burn in the corona. No issues with construction a great go to cigar. Solidly consistent cigar. You can't go wrong with a RyJ and I find them to be a great cigar every time. Just had one of these, it is well balanced and good smoke production. This is a nice golf course cigar and holds up well mid day.